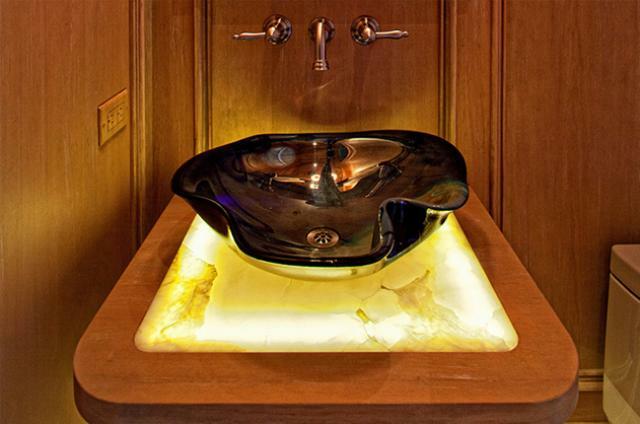 Onyx is created when quartz crystals are formed in cold-water springs, forming translucent layers of marble. 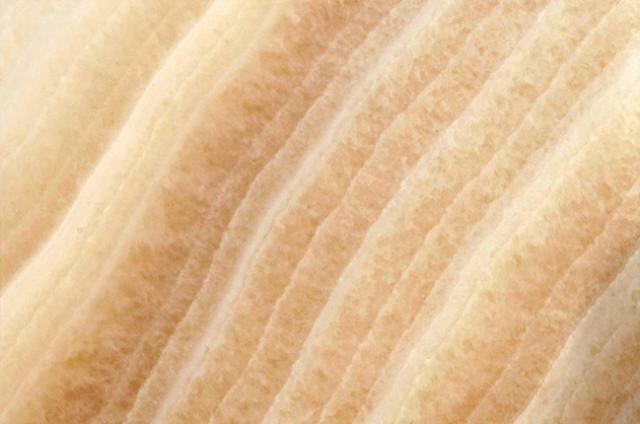 The result is an exquisite material that is characterized by warmth and incredible depth of color, usually yellow, brown, green, orange, and white. True onyx is nearly pure crystalline silica closely related to agate, a semi-precious stone. 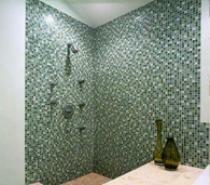 Onyx tiles are used for flooring and wall applications. 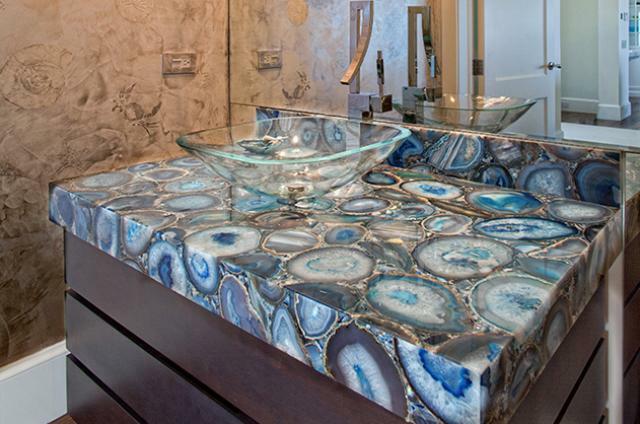 At first glance, one could be forgiven for confusing marble and onyx. Hold onyx up to the light, however, and the truth reveals itself in spectacular fashion: it’s the only stone on the planet that’s translucent. 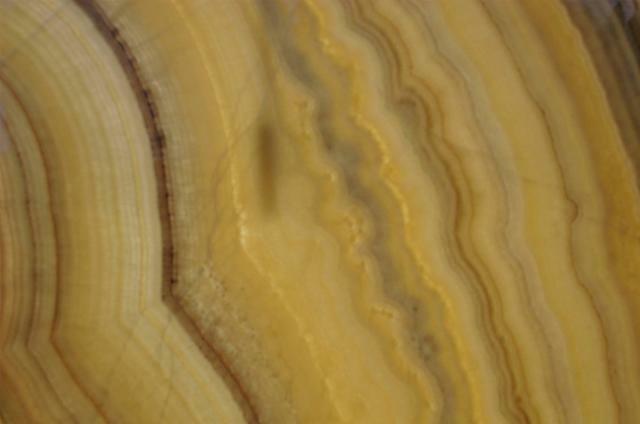 Onyx is laced with natural layers of amber and ivory, giving it a unique honeyed color that’s perfect for grand foyers, bathrooms, kitchens and even small, detailed projects. A naturally translucent marble quartz stone with parallel layers of breathtaking luster, onyx marble exhibits a palette of smooth amber hues that’s simply captivating. 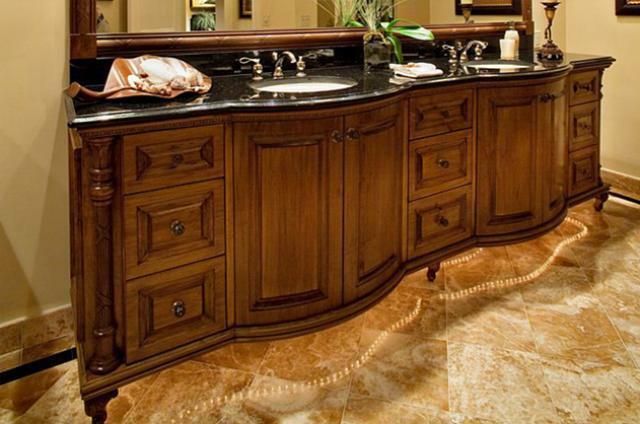 With a beauty to rival the world’s most exquisite collection of gemstones, onyx floor tile is in a class all its own. Appropriately described as ‘jewelry for your home’, onyx tile will transform any room in your home into a masterpiece of incomparable beauty… and quite simply take your breath away! Our exquisite collection of premium quality Onyx Floor Tile is available in many colors, sizes and decorative finishes. Not all onyx floor tile color selections are available from the quarry at all times. 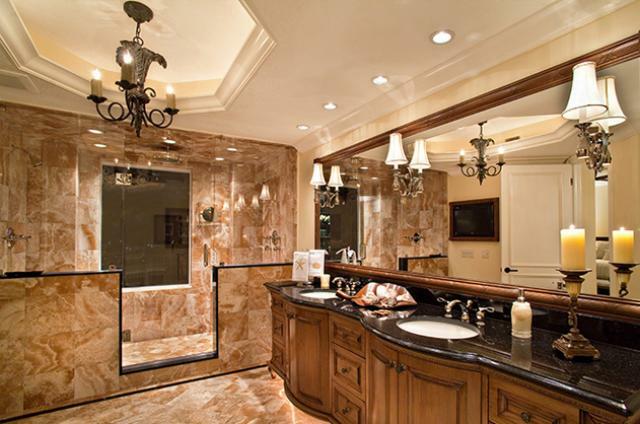 Please call to check the availability of your preferred onyx tile color. 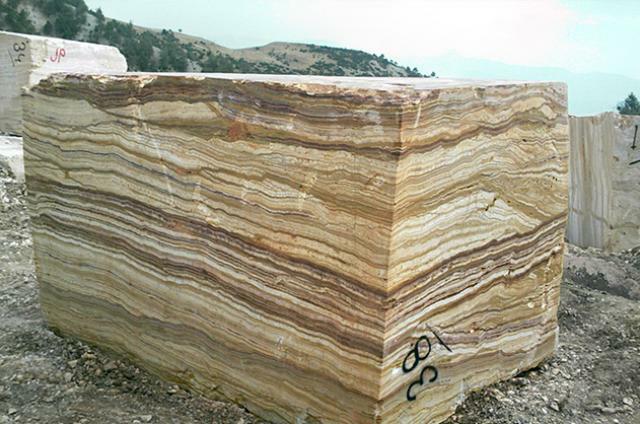 Honed onyx has a very fine, satin smooth finish with little or no gloss which is often referred to as a ‘matte’ finish. 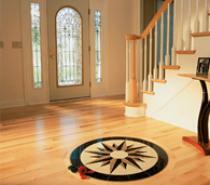 Colors of onyx flooring tile with a honed finish are not as vibrant as those with a polished finish. Polished The finest and smoothest finish available, polished onyx floor tile surfaces have a high luster or glossy, glass-like sheen. 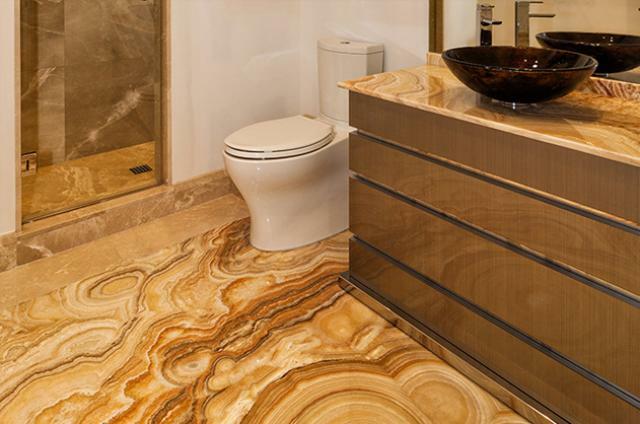 Polished onyx tile colors are deeper and more vibrant than all other surface finishes. Tumbled Characterized by rounded edges and an aged appearance, this finish is obtained by rotating pre-cut onyx flooring tile with gravel and bearings in a tumbler, mixer or other container.